Watermarks have provided the first line of defense against the theft of unlicensed photos. Google showed off an algorithm capable removing watermarks from photos. 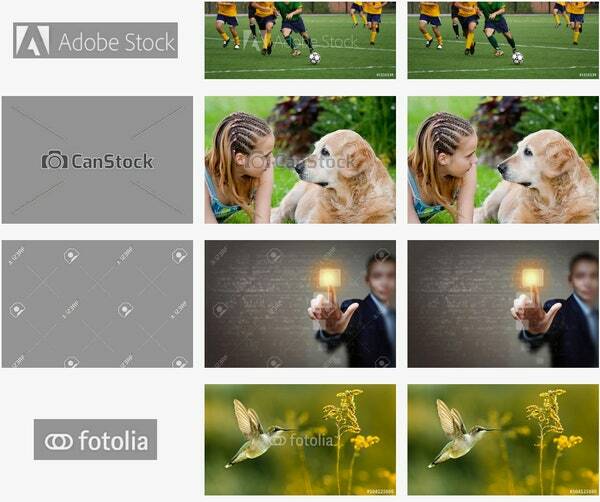 Using neural networks, researchers in the company′s artificial intelligence lab could train an algorithm to identify recurring visual patterns in a watermark (the sans-serif type in Shutterstock′s logo, or the dense logomark of Adobe Stock, for instance) and automatically strip them from an image. Obviously, Google′s technology is not wrong. So, stock photo companies have to develop algorithms that could foil google′s clever algorithm. The issue, as Google explains it, is that most stock photo companies apply the same watermark to their entire image library. Now, the question is simple, the libraries used by Google are fixed, we only need to randomize our watermarks. There is no right or wrong in technology. In the face of the new technology, we always have a fear of the heart! Please use the technology correctly!